I’ve come to the end of my ninety days of exclusivity with Amazon’s KDP Select program. That means that I’m now able to upload and distribute SAVAGE CINDERELLA on other sales channels, such as B&N, Smashwords, and coming soon, Kobo. I thought I would give you my final analysis on my experience. 1) All sales on one distribution channel. Easier accounting and focused marketing plan. 2) Cross promotion opportunities with other KDP Select participants. 3) Five days to offer the book FREE in an effort to gain exposure and readership. 4) Participation in the Prime Lending program (approximately $2 per borrow). 1) Narrows your readership to Kindle owners, and may alienate Nook or I-pad owners. 2) Contributes to Amazon’s attempt to monopolize the e-reader market. 3) Unable to post excerpts for advertising purposes. These numbers do not reflect sales of my other titles, hardcopy sales, or foreign sales. I did notice that the numbers remained steady for both of my other titles on Kindle, but very few sales of HIFH or OTI were made on B&N or Smashwords, which has been my experience from the start. Prior to publishing SC with KDP Select, with two titles available, I had sold aproximately 1500 e-books from September to March, primarily on Amazon. So in three months of going with the Select program for only one title, I’d sold almost as many as in the prior six months. 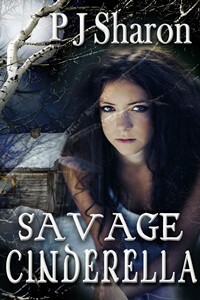 Another benefit to the Select program is that Savage Cinderella made it onto the Kindle Top 100 FREE list twice during the ninety days, and has received thirty-one reviews, culminating in an average four star rating. All in all, I’m very pleased with the outcome of my KDP Select experience. I’m not sure if I will do it again, only because I think it’s generally bad for the publishing industry for any one entity to have exclusive rights to our work, but I can’t deny the short term benefits are very enticing. So what do you all think of KDP Select? How do feel about exclusivity in publishing? Thanks for sharing your numbers and thoughts, PJ! I had a great experience with Select on my novel back in March, when the algorithms were different. My more recent short story KDP Select experience was good… but not stellar. I’m not sure if that’s because people are looking more for novels than for short stories, because I broke the short story free days up into two times instead of running all five free days in a row, or because of the different amazonian algorithms. I think in the future, I may do another short story on the select program… but launch another novel on all platforms. Interesting to see how results may vary depending on genre and length of the work, Tamara. I’ll have to take that inot consideration if I want to put out any short stories or novellas. Thanks for stopping by…and also for the tweet love! PJ, my results were very similar to yours. I received some good visibility for Lost In Italy and some great reviews, along with a good sales bump each time. The sales bump didn’t sustain for long, but it was better than nothing. I, too, opted out of a second term because I don’t like having my book only available at one place. Since republishing to BN, I’ve sold about 5-6 copies of LII, which is about what I’d been selling there prior to my Select period. I’m not totally discounting Select in the future, but for now, I’ll stick with multi-platforms. 🙂 Maybe Kobo will change the game with allowing FREE when ever you want w/o the exclusivity restriction. I’m excited for them to launch their new publishing ‘portal’. I love that too, Stacey! They sound almost human, LOL. Thanks for clarifying. It certainly would be an attractive feature, although with the glut of free e-books making it hard for authors to actually “sell” their books, carte blanche on FREE promos might not be great for the market. I do agree. I more like the idea of the freedom they will hopefully offer. Paula, amazing tracking. I am impressed with how you arrived at your numbers, and where they came from. The results are so important, they tell you what works and what doesn’t work. I wish you the best with your decisions to move in a different direction, and of course, I am hoping you sell more books than you anticipate. Thanks for the support, Gail! What great success, Paula. What is this KDP? and is is related to yo9ur particular self publisher? Sorry, Joy. I forget that everyone doesn’t live in the world of self-publishing and its very own language…KDP is Kindle Direct Publishing, Amazon’s self-publishing venue. When you upload a title to Amazon, it is done through KDP. They also offer what’s called the “Select” program. It is an opportunity for authors to agree to a contract with Amazon whereby they can only publish on Amazon (no B&N, Smashwords or Apple) for a period of at least 90 days. During that time, the author is allowed 5 days to list their book for FREE, a great way to boost exposure and visibility, and boost sales. The book is also part of the lending library for Prime members. That means that readers who buy a yearly Prime membership can “borrow” any book in the program once a month. The author actually gets paid for these borrows, which adds up to a suprising little bundle. I’ve made over $500 on borrows alone. I hope that explains it. It’s hard to say, Rhonda. The first month (March 15-April 15) was very slow until I did a huge cross promotion with several YA and children’s authors. My 28,000 downloads got me on the Top 100 Free list which then translated into about 700 sales in the last two weeks of April (40-50 books per day-counting all three book’s sales) I noticed an increase across the board for about three weeks. Sales were just starting to dip back down to about 10-20 a day when I did the second promotion with the WG2E Street team. I had 11,000 downloads which pushed me back onto that top 100 list again which gave me another sales spike for a couple of weeks after. I see the sales dipping quicker this time, but I’m not sure if that’s because of the algorithms or just the way of e-book sales right now. I think everyone is seeing decreased sales lately. Thank you, PJ! I really appreciate you taking the time to share your info with us. You rock! PJ, I appreciate you sharing this information. I’m filing it away for future reference. Thanks! Thanks, Sheila. The crazy thing is that whatever I report today will likely change by next week. That’s how fast this business is moving. If we keep working together though, we can all succeed.